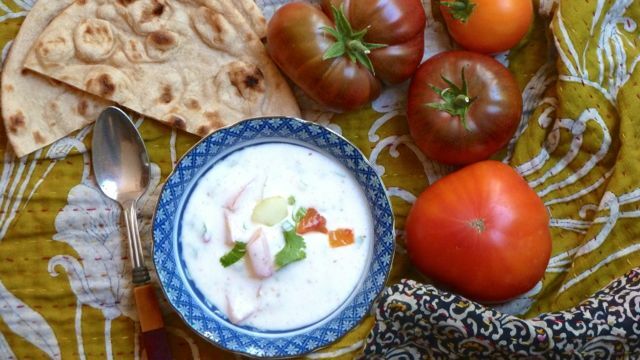 Named for the ancient Persian city of Shiraz—reknown for it’s connection to wine, poetry and flowers—this simple salad is best at the height of summer when juicy tomatoes and crisp cucumbers abound. Persian cucumbers are delicate with few seeds. If your cucumbers have larger seeds, just scoop them out with a spoon and use the remaining flesh. Peeling is not necessary if you’re using organic fruit—much of the nutritional content is concentrated in the skin and seeds. 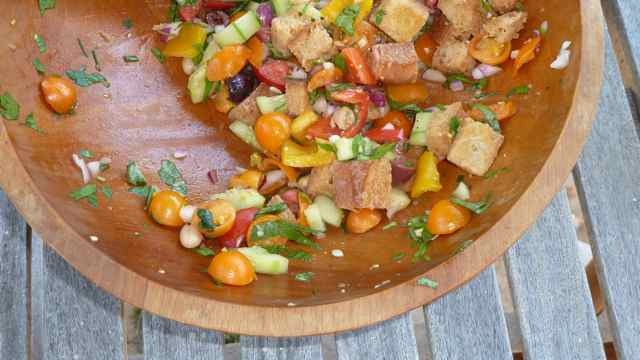 This salad is full of robust flavor and texture—built from the seasonal bounty of summer. There is ample opportunity to improvise, too. Try adding or substituting any of the following: roasted peppers, artichoke hearts, celery, fennel, fresh herbs like parsley or chives, arugula, green beans, garbanzo beans, feta or fresh mozzarella cubes. Use your imagination—fueled by pantry, fridge and garden surplus. Crostini isn’t Greek, but comes from neighboring Italy. However, once you discover the delicious convenience of these toasted bread bites loaded with fabulous flavor, you’ll be dreaming up your own versions inspired by world cuisine. Whisk together ¼ cup olive oil and lemon juice. Add oregano and salt and pepper to taste. Set aside. Slice baguette into ½ inch thick slices. Place on a baking sheet, brush both sides with olive oil, and bake at 350 degrees until toasted on both sides (turn once). Alternatively grill on a grill pan or gas grill. Remove from oven/grill and cool. Rub one side of each toast with cut garlic clove. 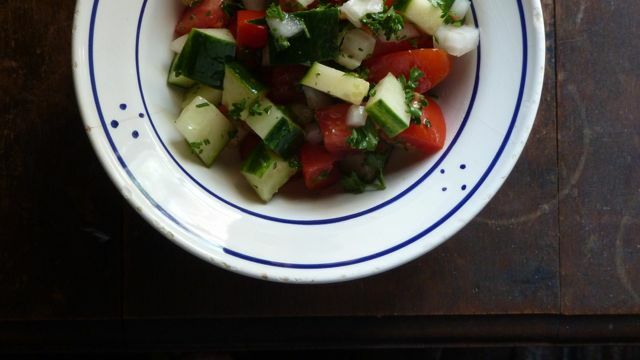 Combine cucumber, onion, tomatoes and olives in a bowl. Toss with dressing to coat. Add feta and carefully combine. Place a large spoonful of topping onto each toast. Serve immediately. This refreshing Indian side dish is known for its cooling effect on taste buds, so try pairing with a spicy main course. Our girls love raita as a snack, anytime of day. Try some of the variations listed below including adding summer tomatoes while they’re at their peak. Place yogurt into a bowl, add a bit of water to thin and stir. We like our raita on the thin side – like crepe batter, but others prefer it thicker. Add salt to taste, a little at a time. When you have enough salt, the yogurt will no longer have a strongly sour taste. You will probably use about ½ to 1 teaspoon salt for this amount of yogurt. Add cucumber and cumin and stir. 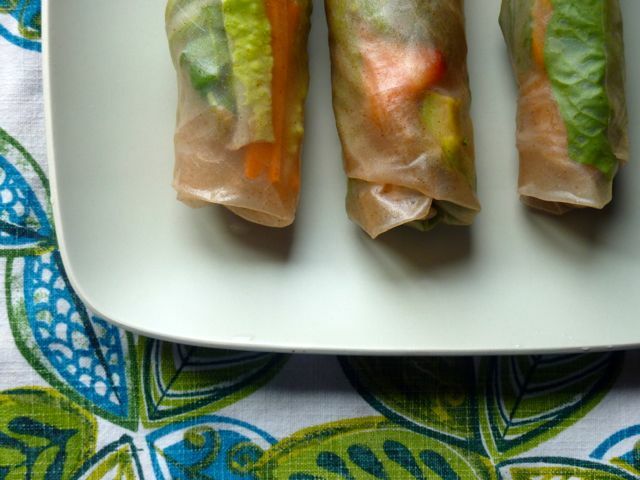 Garnish with cilantro leaves and paprika and serve. Note: to roast cumin seeds, place into a small dry sauté pan and cook over medium heat until fragrant. Be careful not to overcook – the seeds will turn bitter. Grind in a clean coffee grinder or spice grinder, or smash with a mortar and pestle. Minced scallions or red onion. Small amount of finely chopped mint. Small amount of finely grated carrot or radish. Pinch of cayenne or freshly ground black pepper.